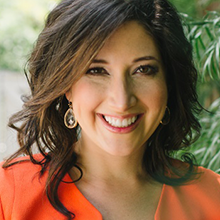 Randi Zuckerberg is a New York Times Bestselling Author, the founder and CEO of Zuckerberg Media, a media and production company, and Editor in Chief of Dot Complicated, an online community helping us navigate and “untangle” our wired, wonderful lives. Randi recently released her first books with HarperCollins, The New York Times Best Seller, Dot Complicated, which addresses the multifaceted complications of our socially transparent world, and a children’s picture book, titled Dot. Randi holds a bachelorâ€™s degree in psychology from Harvard University and resides in New York with her husband Brent Tworetzky and their sons Asher and Simi.